One of the ways I try to spread the word of HEMA is by bringing it to people who aren't doing HEMA. 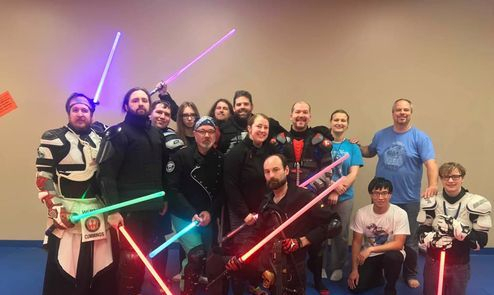 Awhile back, I was invited by the Saber Legion, a Lightsaber group, to go teach in Minnesota. Terry liked me well enough that I was invited back for a seminar just about HEMA and how it can be applied to their sport. The bringing of HEMA to others is a great way to make our ancient art valuable to others and that's the key. Do I fence like they do? No. Do I use trainers like them? No. Are we identical in what we do and how? No. Do we share a frontier? Yes. When bringing HEMA to others, my advice is to try and do it in a way that is valuable. This means, looking at what the 'outsiders' are doing and trying to make HEMA relevant to them. Case in point - The lightsaber trainers the Saber Legion uses are in some ways similar to a longsword. They are about the right length and two hands can be used to grip the hilt. The lightsaber trainers in many ways remind me of the synthetic longswords sold by companies like Purple Heart Armory and Blackfencer. 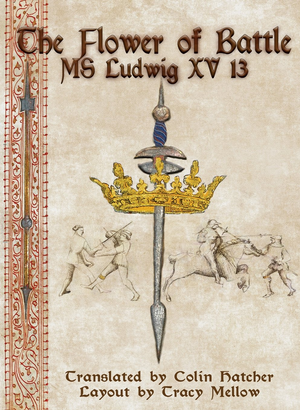 The trainer lacks a crossguard and is slippery, but, many longsword techniques work just fine. 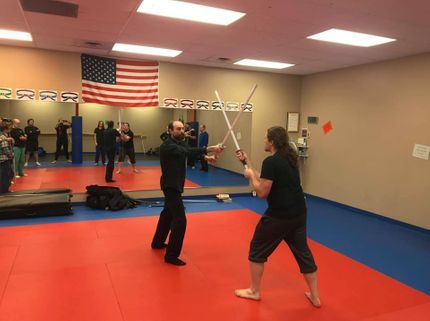 Fiore de Liberi's Flower of Battle provides a few techniques that easily translate over into what the Saber Legion does and thus, Fiore can become a valuable resource to the students even though they are not practicing HEMA. Deflections in particular worked very well with the saber trainers and are not dependent on a crossguard. A heavy cross-wise strike with the false edge sends the weapon far off line, allowing for a follow up strike. Fiore de Liberi describes the technique as follows. I wait in this guard—the Boar’s Tusk—for these three to attack, but I could also wait in other guards, for example, left side Guard of the Lady or left side Window Guard, and with any of these I would be able to defend just as well as I can with the Boar’s Tusk. Each of these guards uses the same method of defense. I wait unperturbed for them to come at me one after the other, and my defense will not fail against cuts, thrusts, nor any handheld weapon they throw at me. I advance my right front foot off the line and with my left I step obliquely, beating the incoming weapon aside towards my opponent’s left side. And in this way I make my defense, first by making cover and then quickly counter attacking. For the purposes of the Saber Legion, I demonstrated this technique from the Left Woman's guard and performed it in sparring. I had them try it in drills and encouraged them to give it a go when next they spar. The technique worked well and with time could be refined to be quite relevant to their sport and so they liked it! There were plenty of techniques to show and some insight as to how a blade covers, how structure is maintained, and general HEMA advice that translated into what they were doing. If you do this, be sure to bring source material so it is not just 'you' teaching, but, it is clear that your information comes from the past. Fiore is great for this because his work is so visual. When I go abroad to teach HEMA, wherever I go, be it to another HEMA group, or the SCA, or the Saber Legion, my goal is to spread the word of HEMA. Like the ancient proselytizing priests of old who ventured alone into the Germanic wilderness, I do the same- though I have yet to be nearly sacrificed to an ancient deity. Like the priest, I am not entirely interested in what the local customs are. I'm not taking anything back to my club, and I'm not too terribly interested in learning anything new for myself. My job on these trips is to make what I know relevant to my audience not for me to share with them and take back information. If you follow in my footsteps, I suggest you do the same. This can be tricky when dealing with other martial artists that want to show YOU how things are done. Can you both learn from one another? Absolutely, but the time and place matters and if you're in the role of a teacher, then teach first, and learn later. When I'm off to teach, I want to do just that. I don't want to spend too much time absorbing the information of others. I learned this the hard way when at a seminar I was teaching, an eager member of the class wanted to turn the class from "Fiore and his techniques" to, "Fiore- and the ways I do it opposed to you, Marsden!" This person meant no ill-will, but, they monopolized class time and I found myself defending my interpretations and challenging or agreeing with theirs. This was a delight to the person, but not so much to the other students who had come to learn. This was years and years ago, and I've learned since then how to stay focused on my role. When teaching abroad to arts and sports outside of HEMA, be aware, you will encounter experts from whatever discipline you are being invited into. That said, if you are teaching HEMA, be sure to do it and not get sucked into debates that do not benefit the class as a whole. Teaching is an art and sometimes you need to bend a little so long as it benefits the class. When a person at a cross-over seminar asked, "Why can't I cut (x) way" and showed me the way he cuts, I said, "You can! However, let me show you why we do what we do..." and moved on. This easily could have turned into a lengthy debate, but instead, his point was validated and my own brought back up again and we progressed. If you are teaching abroad, then yes, you are the teacher, but, students have to ask questions and there's no harm in that. 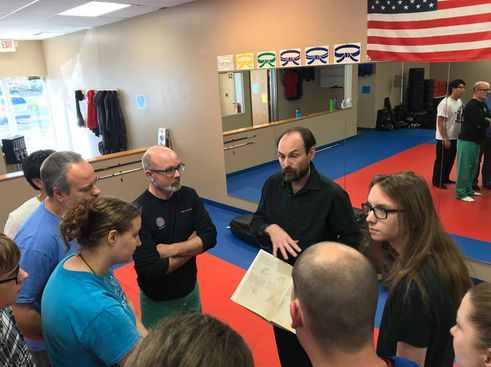 When I came to the Saber Legion, it was to teach them about the history of HEMA, showcase some weapons, techniques and treatises, and make it relevant to what they were doing. I think so. They bought up all of my books and when I came home I had fresh orders to personalize and send out. They liked it enough to throw money at me, and so, I consider that a success. To me, I'm thankful for their patronage and the fact they now own books on HEMA. While I only show up from time to time, I hope the HEMA books they purchased are with them for years to come and provide insight into their activities. Then you can help me out! I don't do things like Kick-Starter or Patreon, I just sell products! 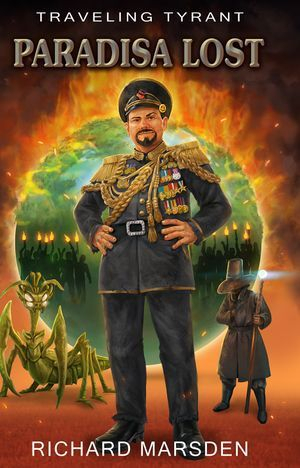 For the Saber Legion, I wanted to let them see my Sci-fi action/humor series, the Traveling Tyrant. Here is book 1, Paradisa Lost. This is from a series of six books! I have the first three books out and the others are on the way. If you like my sense of humor, and can laugh at a dark dystopia (grim-dark-fun?) then check it out! 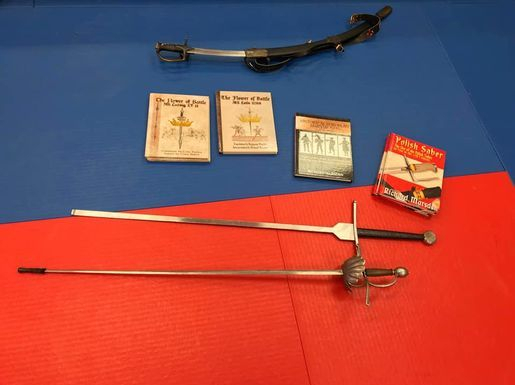 For those strictly into HEMA, the Flower of Battle continues to be a top seller and is a great and affordable way to learn about Fiore de Liberi and all his techniques. This one sells out wherever I take it!